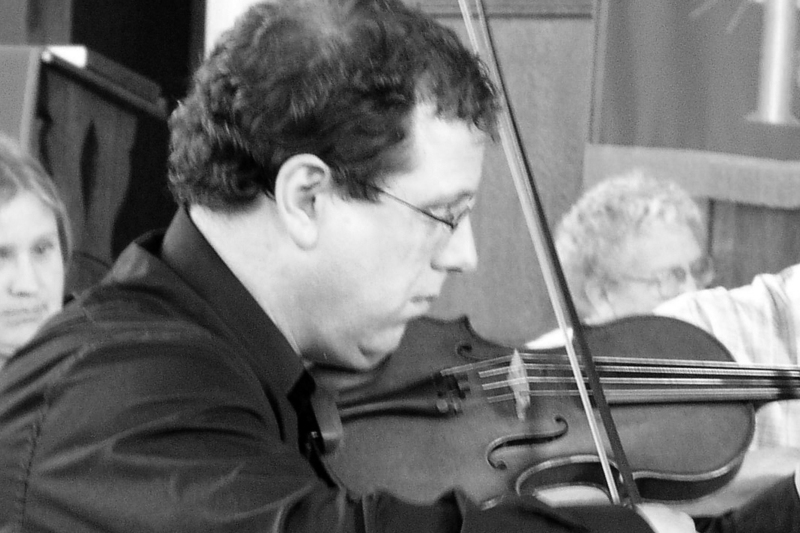 Ralph Dawson took up the post of Leader of the Sheffield Chamber Orchestra in October 2002. Since that time he has made his mark in improving the standard of orchestral playing and is now a well-established and respected member of the SCO team. He effortlessly combines his excellent professional leadership qualities with great enthusiasm and an endearing sense of humour. Ralph studied the violin at the Guildhall School of Music in London, and privately with Ralph Holmes and Maurice Clare, (a pupil of Sevcik and Enescu). He started his professional playing career as a member of The Ulster Orchestra, and then in 1987 joined the Orchestra of Opera North. In 1992 he left Opera North to pursue life as a freelance musician. Since this time he has enjoyed a truly varied musical career, working regularly with most professional ensembles in the North of England. He has led the Orchestra of D’Oyly Carte and The National Operetta Orchestra, and has toured extensively in the UK and abroad. He also enjoys performing regularly in several chamber music ensembles, most notably in a recital violin and piano duo.